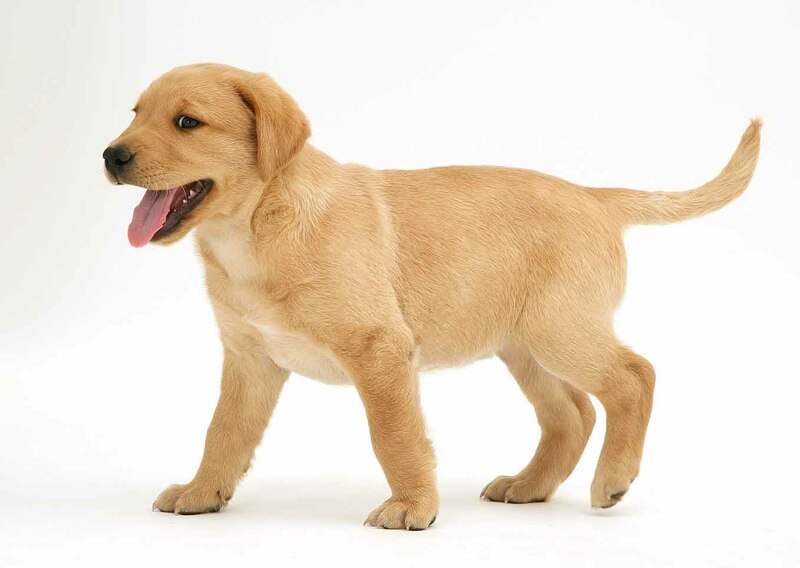 The Labrador Retriever is a strongly built and energetic breed who has earned the title of most popular dog breed in the United States, Canada, Australia, New Zealand and in the United Kingdom. These faithful companions have short, dense double-coats that can be a variety of colors in shades of yellow, chocolate, and striking black. They rarely have any distinct markings, save for a few in the breed who display small accents of white fur around the chest, paws, or tail. 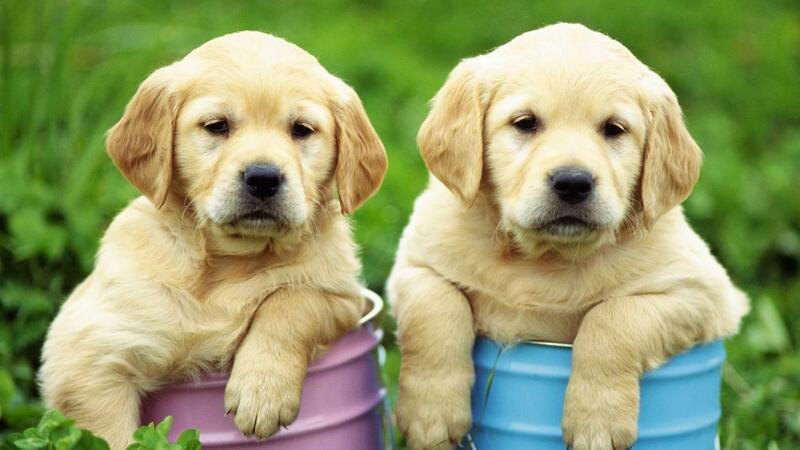 Any combination of coloring is possible in each litter of Labrador pups. Their broad heads carry strong, powerful jaws and kind eyes that convey the intelligence and deep trusting characteristics of the breed. They also have a broad, sturdy “otter” tail that as well as webbed toes which make them excellent swimmers. Their toes pull double-duty as built-in snowshoes by preventing snow from balling up between their toes, which is painful for breeds with hair between the toes. These muscular athletes usually stand between 21-24 inches tall and will weigh in the 55-80 lb. range. A healthy Lab will typically live to be 10-12 years old and will provide their family with constant loyalty and loving devotion. Labs are a relatively low-maintenance breed as far as grooming goes and usually only require a monthly bath to keep their coat sleek and fresh. Their double-layer coats do a great job at keeping out moisture and protecting them from the elements. The thick top coat is short and dense without being wiry and the soft undercoat is weather and water resistant. While they do have short fur, brushing daily is recommended to cut down on the amount of excess fur. Labradors shed on a daily basis and will shed even more profusely when transitioning between seasonal coats. They have strong nails which need to be trimmed regularly to avoid overgrowth which can lead to painful splitting. 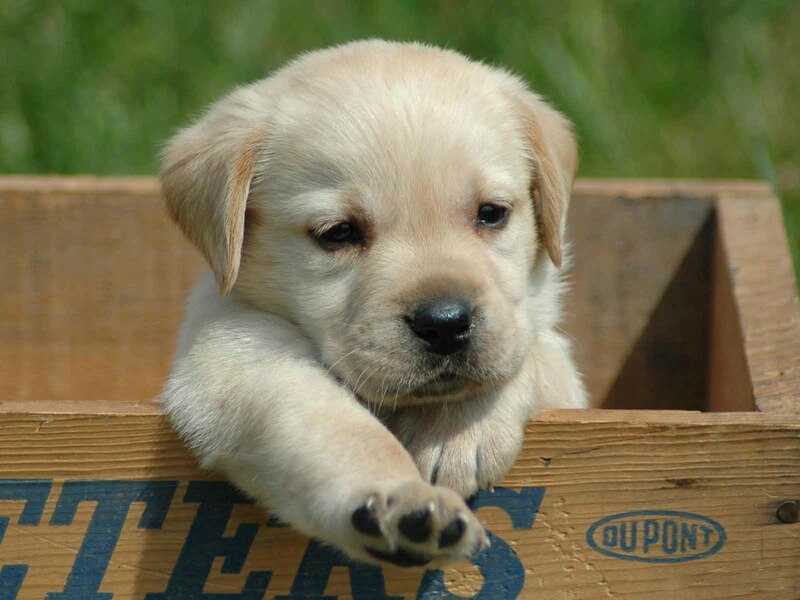 Since Labs are so high energy, they usually are able to grind their nails down naturally during their daily activities, but it’s still a good idea to check their paws to make sure there’s no breakage. Their fuzzy, floppy ears can unfortunately be a great place for bacteria to lurk, so Labs need their ears cleaned regularly to avoid infections. 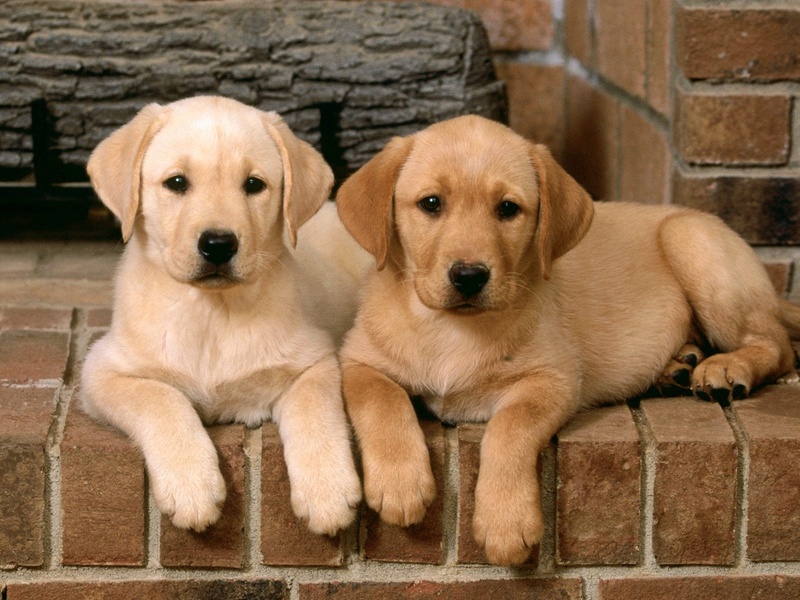 There’s a reason these pooches are number one; Labrador Retrievers are inherently friendly, loyal, and are very people-oriented. These high spirited breeds are good natured and get along great with children and other animals. 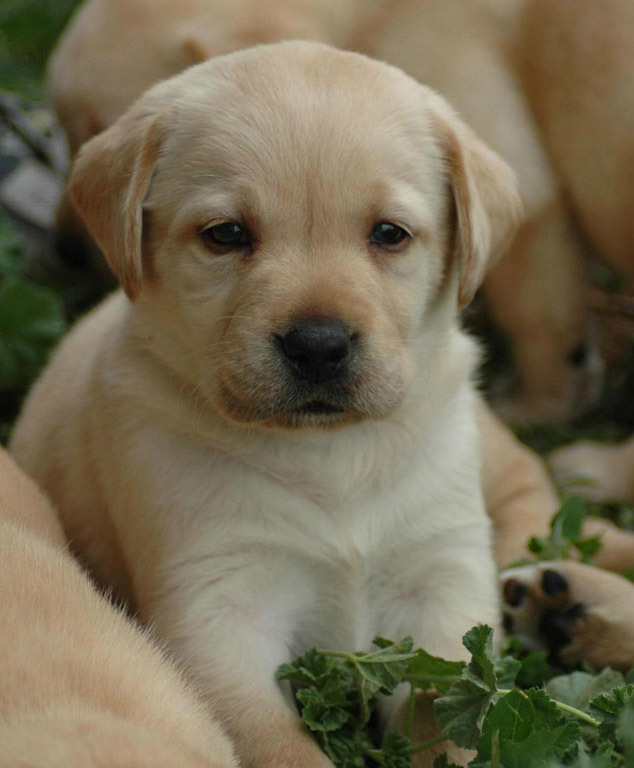 Thriving on social interactions, Labs enjoy spending time with their family and are eager to please. This high energy breed will often display excitable puppy-like behavior even up to 3 years of age so it’s best to begin training early. Obedience training will be very effective in helping to rein in their exuberance and direct their bouts of energy into positive behavior. It’s very important to daily exercise a Labrador Retriever multiple times a day; a bored Lab will turn to destructive behavior to work off his excess energy. These fun loving pups never pass up an opportunity for a romp around the yard or diving in for a swim. This breed is well known for having kind, gentle dispositions which make trips to the dog park ideal. The friendliest pooch in the park loves to socialize and will love interacting with other dogs and people. Their laid-back attitude and good nature are why these pups are often used as therapy dogs to the handicapped and even in psychotherapy. 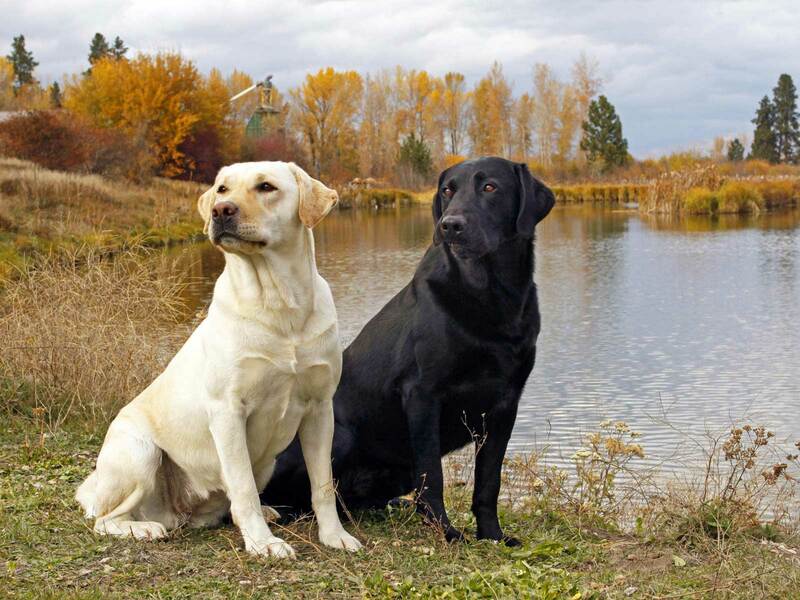 High levels of intelligence and an eagerness to please are the perfect combination of traits which make training a Labrador Retriever more enjoyable for both dog and trainer. Basic obedience training will help control their boundless energy from getting the Lab into trouble and encourage their outgoing personalities. 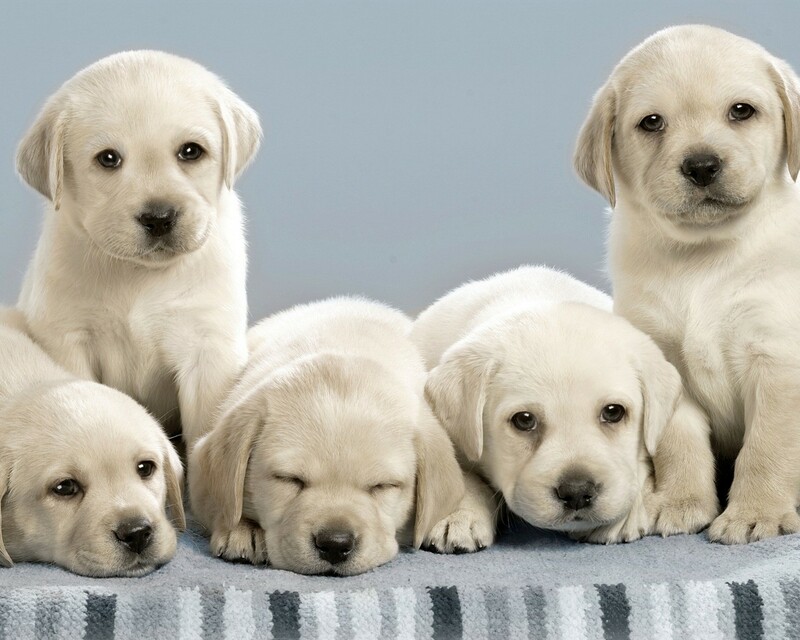 Labs love socializing and will bond with their owner during training; that bond will help the owner’s commands have more authority and make the Lab want to obey in order to please their owner. 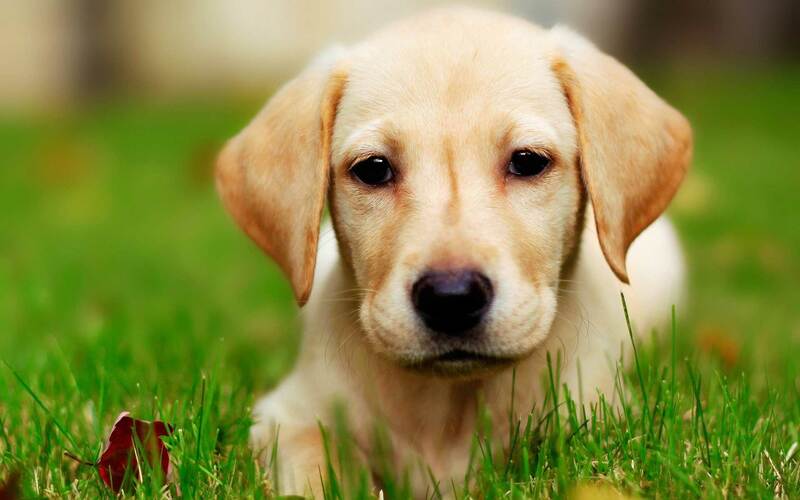 Labrador Retrievers have inherent “mouthy” instincts which leads them to carry items or chew when bored. 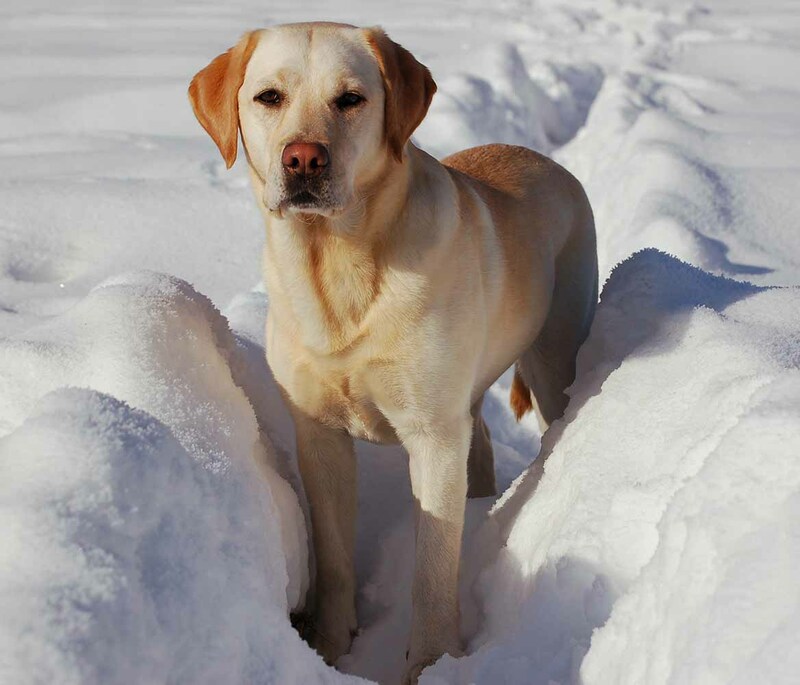 These mouthy skills come in handy during hunting and retrieving tasks, which the Lab excels at. Training the Labrador to only chew specific toys and giving them plenty of fetching sessions will help curb any destructive chewing behaviors. Descending from the island of Newfoundland, off the coast of Canada, Labrador Retrievers can be traced as far back as the 1700s. Originally named St. John’s dogs, these loyal companions worked at the docks with their owners who were mostly fishermen. 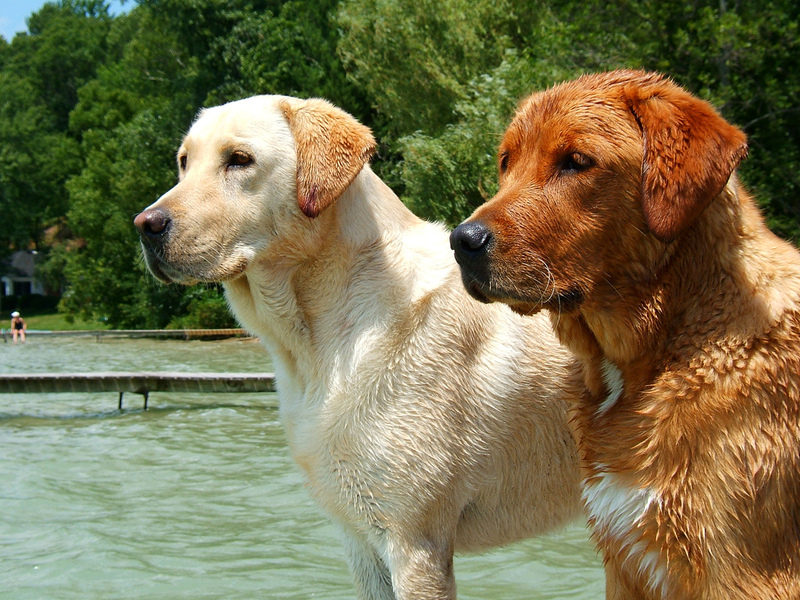 Labs would often help by retrieving fish that had escaped the netting and hooks which greatly enhanced their owner’s catch of the day. 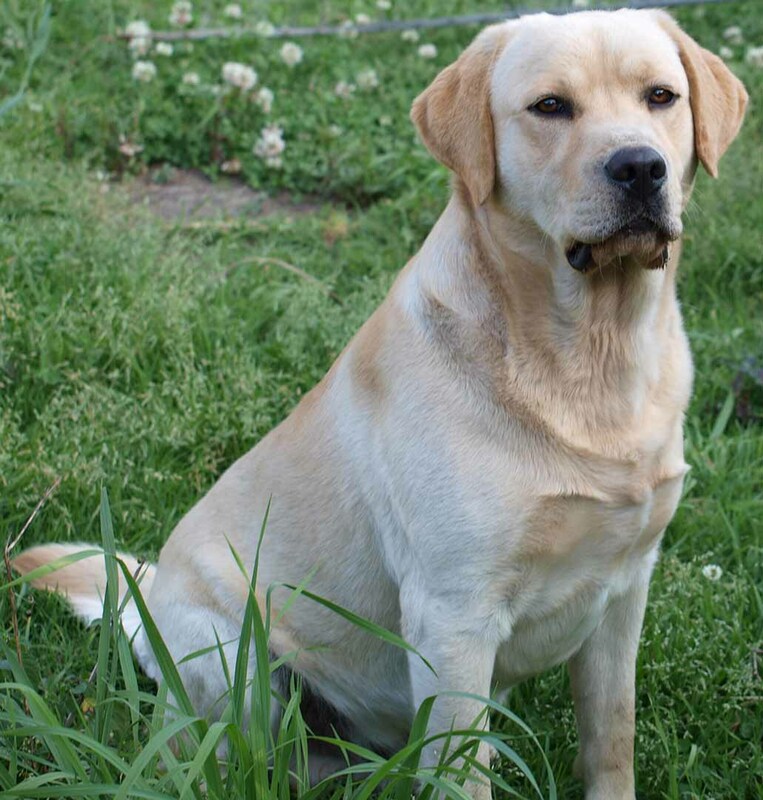 The Labrador’s eagerness to work and good natured temperament were both key characteristics that English breeders were looking for in hunting dogs. 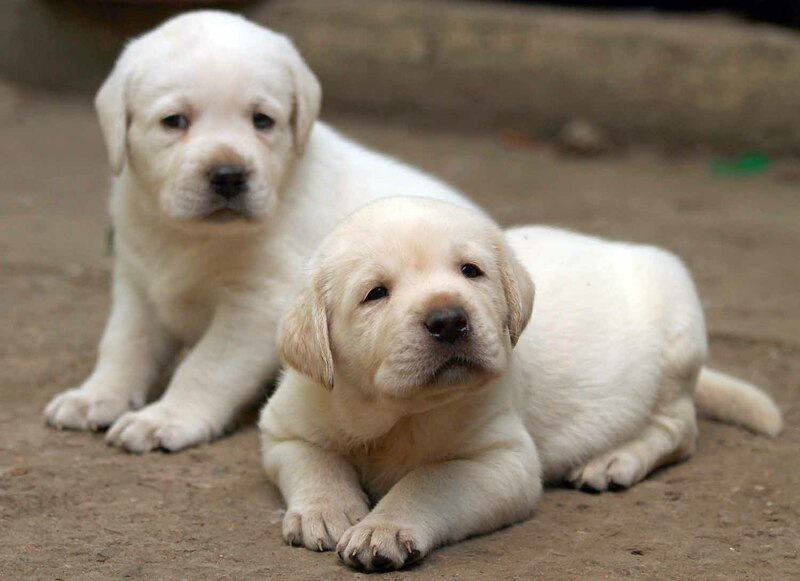 The English families who imported and bred Labrador Retrievers are often credited for saving the breed, which had greatly dwindled throughout the years. Due to government taxes and restrictions in Newfoundland, the breed was almost extinct by the 1880s. 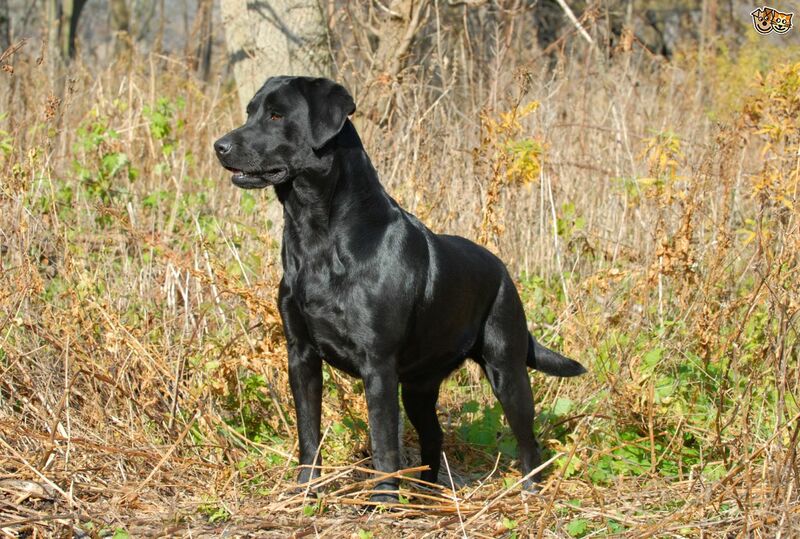 After being bolstered back into population, the Labrador Retriever was utilized in hunting, sporting, and work in drug and explosive detection.